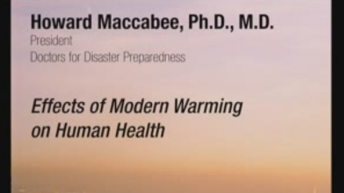 Dr. Howard Maccabee was a prominent and respected voice on a wide range of environmental and public health issues. He passed away on April 21, 2015 at the age of 75. 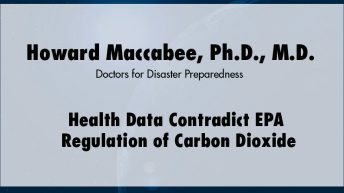 Dr. Maccabee was a long-time policy advisor to The Heartland Institute and spoke at three of the International Conferences on Climate Change it hosted. He was the founding president of DDP (Doctors for Disaster Preparedness) and served on its the Board of Directors until his death. 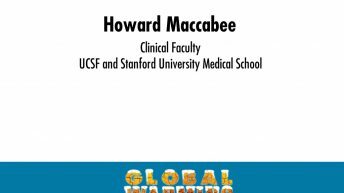 He was an active advisor to the American Council on Science and Health (ACSH) and contributed to many of its publications. He received the Ph.D. from UC Berkeley in 1996, with dissertation research on radiation biophysics. After earning an MD from Miami University in 1975 and serving his residency in Radiation Oncology at UC San Francisco, he was the Medical Director of the Radiation Oncology Center at John Muir Hospital in Walnut Creek, CA for 25 years. He also served on the clinical faculty of UCSF and Stanford Medical Center. He published widely and gave more than 100 presentations on science and medicine.